When it comes to garage door repairs, it is always best to leave such tasks in the hands of professional technicians. 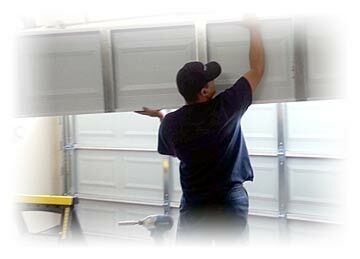 While certain garage door problems can be solved by simple maintenance, there are issues that require expert knowledge. If you happen to encounter the latter, it is very likely that you will spend a great deal of time and money trying to fix the problem. If you want to avoid such an inconvenience, you should hire a reputable garage door repair company. Here are more reasons why you should always get professional repair services. Aside from the convenience it offers, seeking professional repair services gives you faster results, unlike when you’re trying to fix the garage door on your own. As you may know, you should never leave your garage door in a state of disrepair for a long period of time, because it can place your safety and security at risk. With the help of the experts, you can quickly address the problem and get your garage door up and running again. Many experts warn against fixing the garage door by yourself, because if something bad happens, the weight of the garage door can easily cause you serious injuries. Because expert technicians have been fixing garage doors for years, they know how to avoid such unfortunate incidents from happening. Therefore, to ensure your safety, it would be best to seek professional assistance if you have problems with your garage door. Indeed, getting professional garage door repairs in Melbourne costs money up front. However, it is considerably more cost-effective than fixing the problem on your own. Think about it. With your lack of proper knowledge, there is the likelihood that the repairs you carry out, are not on par with those offered by experienced technicians. There’s also the risk that you’ll make the problems worse, which would cost you a huge amount of money in the long run. To avoid wasting your time and money, therefore, you should just get professional repair services right from the start. Perhaps the most important reason why you should let the experts fix your garage door, is because you’ll get more reliable results. With their expertise, you can have the peace of mind knowing, that your garage door will be fixed properly and that no garage door problems will plague you in the foreseeable future. If you need the help of professionals, be sure to contact us. We provide quality garage door services in the Melbourne Metropolitan Area.